Coachella, California-native Citlalli Ortiz closed out her impressive 2017 Women’s Youth World Championships campaign with a split decision victory over Russia’s Nataliya Sychugova to take her first major international title in Guwahati, India. Ortiz gold medal closes out a strong showing from the young American delegation. Team USA’s other medal, a bronze, was won yesterday by Isamary Aquino of Universal City, Texas. The remaining members of the team included: Aidyl Cardenas (Calexico, Calif.), Diana Estrada (Hillsboro, Oregon), Heaven Garcia (El Monte, Calif.), Roma Martinez (Humble, Texas), Sharahaya Moreu (Albuquerque, N.M.) and Amy Salinas (Las Cruces, N.M). 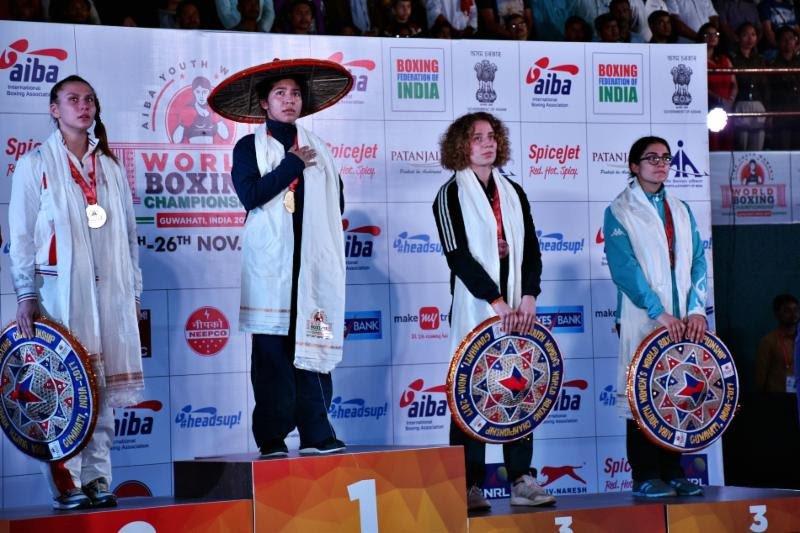 This year’s Youth World Championships brought 160 of the world’s top youth female boxers from 36 different countries all vying for one of the 10 world titles up for grabs. Head Coach Billy Walsh (Colorado Springs, Colo.) and assistant coaches Kay Koroma (Colorado Springs, Colo.) and Jeff Mays (San Antonio, Texas) guided Team USA throughout these championships. The boxers and staff of USA Boxing will begin their journey back home to the United States tomorrow.